A woman has been found dead at a Northeast D.C. gas station near a pump that caught fire, D.C. Fire and EMS says. Firefighters got the call around 5:30 a.m. 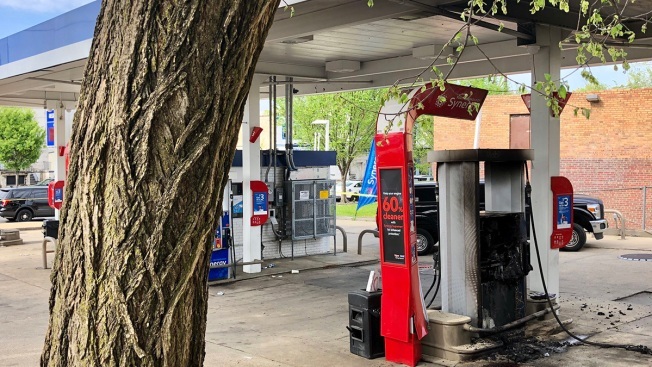 When first responders arrived at the Mobil gas station at 21st Street and Benning Road Northeast, they found a woman fatally injured near the pump, D.C. Fire says. She was not taken to the hospital. Firefighters quickly extinguished the fire, which only affected one pump, D.C. Fire says. The cause is under investigation. A representative from Mobil who was on the scene declined to comment. A major response from law enforcement closed Benning Road from Oklahoma Avenue to 17th Street, but the road has since reopened. Stay with NBC Washington and tune into NBC4 for updates.